Storyencoding is simply the process of turning the raw appreciations of a storyform structure into the flesh and blood people, places, and events of a story that can be told. As an example, suppose in our storyform we have selected an Objective Domain of Universe. As we have learned, this means that the Objective throughline revolves around an external situation. Now, when it comes to actually writing our story, we are not going to put down on paper, "The Objective throughline was revolving around an external situation." Our audience would have a lot of trouble getting involved with that! Instead, we're going to connect that bare appreciation to something concrete so the audience can relate to what we're talking about. To make this appreciation real, we ask ourselves, "What kind of a situation is it?" One author might choose to say, "The situation around which my Objective throughline revolves is that a group of travelers are trapped in a sunken ship." That fulfills the dramatic function called for by the appreciation that the Objective Domain is Universe. Another author might choose to encode an Objective Story Domain of Universe by saying, "The situation around which my Objective throughline revolves is that the parents of five children have died in a car crash, leaving the children to fend for themselves." Clearly, each appreciation might be encoded in any number of ways. Which way you choose depends only on the kinds of subject matter you wish to explore. How you encode each appreciation will determine much of the setting of your story in a Genre sense, the kinds of things that might happen in you plot, the thematic issues that are likely to rise to the surface, and the nature of the people populating your story. Once the concept of encoding is understood, another issue often comes up: "Storyforming and then Storyencoding doesn't seem like a very organic way to go about creating a story." Well, we can't argue with that. You see, most authors are attracted to a story not by the underlying structure, but by some element of storytelling. It could be a setting or a character or a bit of action -- anything that stimulates the imagination. In fact, most authors don't even think about a message at this stage. What gets them started is some intriguing concept, and the remainder of their effort in developing that concept is to try and build a story around it. At first, things go very smoothly. But at some point along the way there is a hole and no inspiration to fill it. Or, there are some incompatibilities or inconsistencies and no idea how to fix them. It is at this point that authors beat their heads against the wall, run in circles screaming and shouting, and tell their story to every remaining friend they have in hope of getting some comment that will clear the creative skies. It is a lot easier if you have a storyform. If you already know what your story is about, then all you need to do is illustrate it. Rather than being constraining, this process is liberating. You can let your imagination run wild, then hold up each new inspiration to the storyform and see if there is an appreciation that idea will encode. You may have to tweak it a bit to make sure it will communicate the appreciation accurately, but if your intuition is pretty much on the mark, then just about anything you come up with is likely to be a part of the puzzle and simply needs to be nuanced a bit to slip it into the job it really ought to be doing. Some of the appreciations in your storyform will already be encoded. In fact, they were encoded before you created the storyform; that's how you knew which appreciations to select. If you are using the Dramatica software, after making a limited number of selections (perhaps twelve or even fewer!) all the remaining appreciations are selected by the Story Engine. 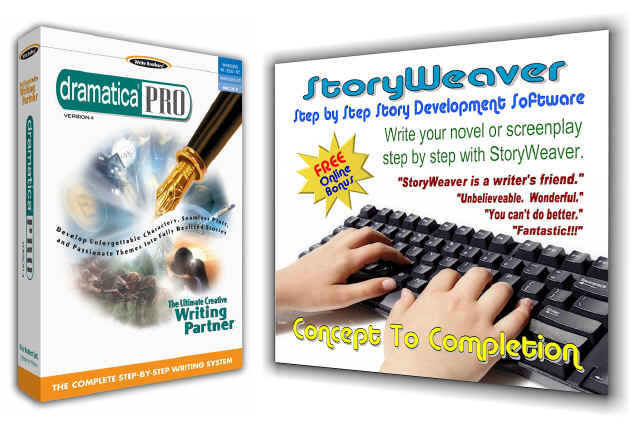 In other words, the model of story programmed into the software has calculated the dramatic influence of the selections you've made and determined that all the remaining appreciations for a balanced and complete story structure. In the case above, many of the appreciations predicted by the Story Engine may not yet connect with anything you have already developed. Rather, you find in your Storyform a Goal of Obtaining, for example, and wonder, "Obtaining what? What are my characters after?" This is when you think about what you do know about your story. Maybe it takes place in a circus. Then a Goal of Obtaining could be getting to perform in the center ring, or winning a place as a permanent attraction in a new mega-amusement park. Your story might be about a mountain man, and his Goal of Obtaining might be to find a wife, or to get a ranch of his own. It really doesn't matter how you encode an appreciation, as long as the encoding carries the message of the story through one more stage of communication between author and audience. Finally, if you are not using the Dramatica software, you will have selected your appreciations by feel or topic. Some may have been chosen as appropriate to specific ideas you are working with, but the rest just seemed appropriate to the story you have in your mind and/or in your heart. We're back to intuition again here. And once again, you will need to examine those appreciations which do not yet have specific encoding in your story and ask your muse to suggest something. In the end, even if the storytelling may be atrocious it will at least make sense if it is built on a sound storyform. The remainder of this section presents hints and tips for encoding all four aspects of story: Character, Theme, Plot, and Genre. By far, Character is the most complex of these for it requires the greatest subtlety and nuance to fashion believable people who still manage to fulfill their dramatic functions. As a result, you will find the character section the longest of the lot, and also, due to its importance, the first one we address.